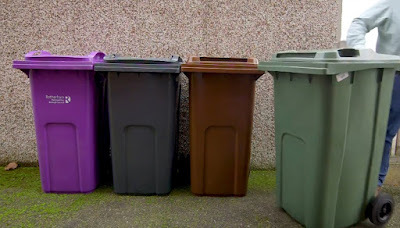 Rotherham Council believes that the introduction of plastics to the kerbside waste collection service presents a low risk to its joint waste PFI contract. Rothbiz reported last month that Renewi plc (formerly Shanks plc) was forced to make a £27m provision in its accounts as a result of its loss-making contract at the 220,000 sq ft "BDR" waste facility in Rotherham. Barnsley, Doncaster and Rotherham (BDR) Councils secured £77m through the Private Finance Initiative (PFI) for the scheme and the operators signed a 25 year contract worth in excess of £750m with the councils for the treatment of black bag waste. Following a consultation exercise, Rotherham Council is proposing to make changes to its waste collections. Paid for year round garden waste collections are due to start in Rotherham on October 29 with residents able to opt-in to the service at a cost of £39 a year. Kerbside plastic collections are set to be introduced in "early 2019" with the authority setting aside £5.54m for bins and vehicles. A detailed paper to Councillors explains that the introduction of plastics to the kerbside waste collection service affects the waste tonnage and its composition being supplied to the residual waste disposal PFI contract which is due to continue until mid-2040. Legally, the move may qualify as a "Significant Collection Change" and the Council said that it "has begun to engage with DEFRA and the PFI contractor informally around our proposals and will engage formally once the proposal is agreed." 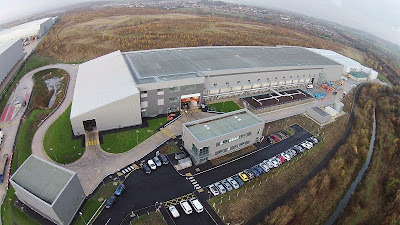 Since the Manvers facility opened, 96.5% of the waste received has been diverted away from landfill, cutting landfill taxes and C02 emissions. Plastics from Rotherham black bins are extracted at the facility. Doncaster and Barnsley Councils already operate kerbside plastic collections. The rest is turned into a fuel which is used at the Ferrybridge Multifuel 1 facility in West Yorkshire. Once there, the fuel releases its energy to produce low carbon electricity which is supplied to the National Grid. Trials may need to be carried out and if the changes affect recycling performance against pre-set targets or vary the PFI project materially then DEFRA may be entitled to withdraw some or all of the Waste Infrastructure Credits which support the PFI project. Latest figures showed that the contractor was performing at 15.17% for recycling and was on target to achieve the 12.5% recycling performance by the end of the financial year. The contract includes a 12.5% termination trigger and a 19% target. The report concludes: "The Council believes that the proposed new waste arrangements provide mitigation to any potential impact on the contractor and the risk to the PFI contract is therefore low. "Firstly the removal of plastic from the residual waste stream may reduce costs at the PFI facility and therefore provide better value for money. "Secondly, the introduction of kerbside plastic recycling will increase the Council's overall recycling rate and provide better value plastic into the market, which will militate against the volatility within low-value recycling markets. "Finally, the Council believes it would be not in keeping with DEFRAs own priorities, or the South Yorkshire Strategy for the Council to suffer any contractual financial detriment for introducing kerbside plastic recycling, when the other authorities in the BDR Partnership already have it in place." Last year, Renewi said that PFI contracts had come under pressure as a result of austerity measures, poor performance or because the contracts were inappropriate in the current market environment.